The School Games National Finals took place at Loughborough University between Thursday 30th August and Sunday 2nd September, with Cardiff’s Lilly Folland contesting the Wheelchair Tennis competition. The St Teilo’s High School pupil represented team Wales and performed well, bagging a Silver in the Girl’s Doubles. Eleven-year-old Lilly, who also narrowly missed out on Bronze in the Girl’s Singles, played with England White’s Ruby Bishop in the Doubles finals. The pair excelled on the court against England Blue’s Abbie Breakwell and Martha Harris, but in the end the Blue team secured the winning title with a final score of 5-3, 4-1. 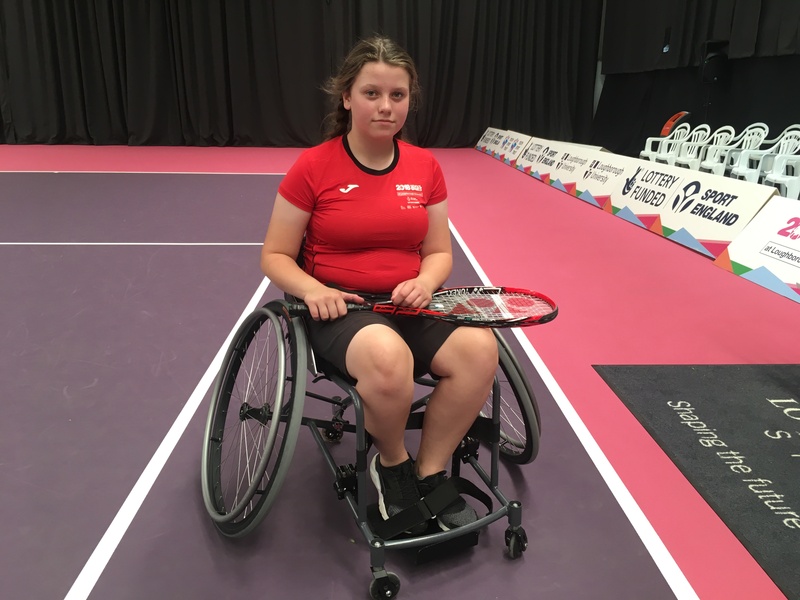 Folland commented: “There were so many people playing for other regions at the School Games and there was only me for team Wales in Wheelchair Tennis. There was a bit of pressure but I’m quite proud. “I have enjoyed it and I’ve liked getting to know everyone. “I’ve not trained a lot because I’ve been ill, but it’s been okay. Now in its thirteenth year, the School Games event – which featured over 1,000 school-age athletes – saw some of the most talented schoolchildren from across the UK compete in 11 different sports. The School Games has provided a fantastic springboard for some of the most talented school-age athletes, with over 200 graduates of the School Games Finals competing at this year’s Commonwealth Games, winning 85 medals. The Games, which is supported by National Lottery funding from Sport England and the home country sports councils and delivered by the Youth Sport Trust, was established in 2006 after London won the bid to host the 2012 Olympic and Paralympic Games and formed a key part of the legacy programme.